The Human Resources Office for the Tohono O’odham Nation’s (Nation) Executive Branch recruits, employs, and retains a work force consisting of members of the Tohono O’odham Nation and all its surrounding counties. Equal employment opportunity and Indian Preference is exercised in accordance to the Personnel Policies. The Human Resources Office processes employment applications to meet the employment demands of an expanding tribal governmental workforce that provides services to its members and the public. Along with exceptional pay, the Nation offers a comprehensive benefits package. These benefits are effective on the first of the month following thirty days of employment. Up to eight paid hours is provided for eligible work-related or career development courses. Paid Time Off (PTO) accrual begins upon the first day of employment. The Nation observes thirteen holidays. Tohono O’odham Nation, Executive Branch Employment Application, with original signature. Authorization to Release Information form, with original signature. Release of Information form, with original signature. Copy of unofficial college transcripts, diplomas and/or certifications may be submitted to determine education and experience. Applications and supporting documents become the property of the Tohono O’odham Nation and are valid for six months. 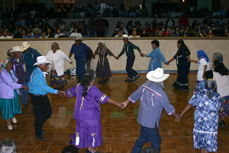 Tohono O’odham Nation is committed to providing Equal Employment Opportunities. The application will be reviewed to ensure all required documents are included in your packet. The application packet is screened based on the position’s minimum qualifications. If you do not qualify you will be notified. If you qualify for the position applied for, your application will be forwarded to Employment Section for review by the hiring department. Interviews are scheduled based on the hiring department’s request.